We have been working on some fun and exciting things lately, and we can finally update you all on what we have been doing. As all of you know, the minigames (EggWars, BedWars & SkyWars) are a huge part of our community. While I am writing this topic, we have 913 players playing on SkyWars & BedWars. We run an extra of 164 servers just for SkyWars & BedWars.This also means our suggestions, bug reports, and any discussions on the forums are mostly related to these minigames. The current state of these 3 games do not fit our needs, and we want to improve that. Little do you know, we already started working on improvements on these gamemodes. We have been working for around 4 months on preparing an amazing and big update for all of the minigames, which also includes the current legacy gamemode EggWars. We are planning on releasing all these updates at once, so once the update hits our servers all of the minigames will include the new features & performance changes, which means less lag and smoother gameplay. Here is a small list of the many things we already started working on, and some of them are even already finished! Rewriting the whole core system on how we save and load data, to decrease the lag. Keeping track of more game statistics to make leaderboards more challenging. Making games more fun to play by tweaking kits and removing old features. Reasons to grind minigames, by this I mean that you can make progress as you play, so you'll get rewarded for how long and how much you play these games. Tweaking gameplay to suit the current style of our server, and the gameplay players are asking for. As you can see we are going to work on a lot of things, so it will take some time to finish, but it is worth the wait! To this sure, here are some features that are 100% going to be added to the upcoming minigame update. Missions. New missions every day & week. Spice up your gameplay by completing challenging missions. These missions will give you a reward based on the gamemode you are playing on. Cosmetics. Yes, that's right, cosmetics are going to be a thing here at Jartex. From lobby cosmetics to in-game cosmetics. The way these cosmetics are going to be earned will be a secret for now, but I am sure you guys will enjoy it! Boosters. For those who want to support our server, and at the same time earn more from there games played we will be adding boosters to our server shop. Boost your favorite gamemode and double the coin income for an hour. Players will also be able to thank you for your booster, which will give the booster owner, and the player itself some extra coins! Better statistics. All gamemodes will be keeping track of more, and time-based statistics. With this, we can make things more challenging, and create fun competitions. This also means the leaderboards will have multiple features of showing different statistics on every game! New lobbies. All of the games will receive new lobbies with fun extra things to explore by yourself! And this is the part where you as a player can join us improving. We would like to gather feedback about what you would like to see in our current games (EggWars, SkyWars & BedWars). We know the minigame is a big part of our community, so we would love to make it even more enjoyable for you guys to play! You can leave your suggestions by leaving a comment here in the reactions, or by writing out a suggestion here (click)! With this all being said, it's time to wrap this up and end it here. 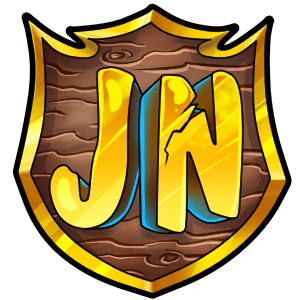 We hope you guys are able to provide us some great ideas we can implement, and together we can make Jartex even a better server! Alrighty, the long deserved updates for these game modes, especially Eggwars, has finally come. I'm hyped, and I have to say that this new system will be epic with these coins, boosters, and cosmetics. I have many questions, such as if cosmetics will cost coins, and if cosmetics are a global thing, and if so, would "coins" really work? Missions seem nice, and will be a great addition and motivation towards the game modes. Many older players will probably appreciate the updates to Eggwars, as it will revive it. I don't have too much to say, but I'm excited. By the way, just a quick thought, I think you should add pets to cosmetics, because why not.